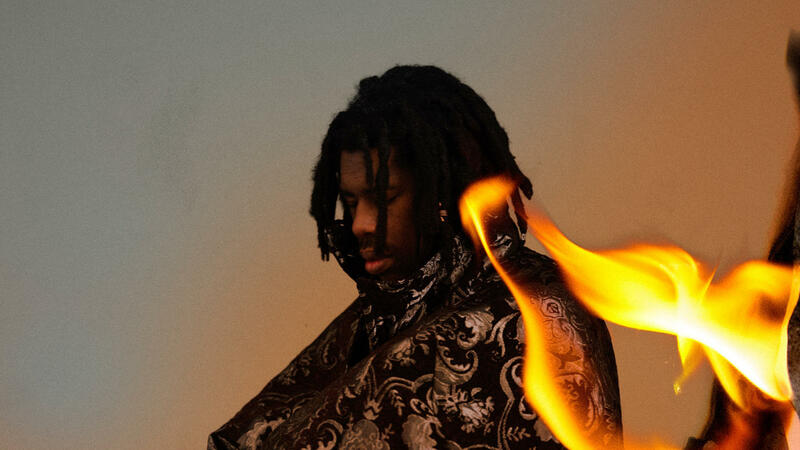 Flying Lotus paints a weird trap tapestry with his new track "Fire Is Coming"
Always one to push the limits of bizarre, beckoning hip-hop and jazz production, "Fire is Coming" is a weird, baleful trap tapestry with equally unsettling narration from Lynch and an accompanying video to give listeners the visual context to go with his new music. The clip follows a group of wolf children who listen to a story about a young boy named Tommy who answers a phone call and tries to give the phone to his mother. It's been five years since FlyLo's last full-length album (2014's You're Dead), and in that time, the genre-jumping musician has flexed his artistic muscles in other forms. In addition to producing for others — his dizzying production helped make Kendrick Lamar's To Pimp A Butterfly a notable highlight — in 2017, FlyLo debuted his first feature film, Kuso, a gory, post-apocalyptic romp, premiered at Sundance Film Festival. Flamagra will be 27 tracks with a wide swath of features, ranging from niche favorites and newcomers like Tierra Whack, Toro y Moi, Denzel Curry, Little Dragon and Shabazz Palaces to well-vetted culture-shakers like Solange and George Clinton.